Hello and welcome to Italy, one of the world’s most beautiful and historic countries. Benvenuti! My name is Vittorio Rosato and have a private driver from 2001. I was born in Sorrento, a little town perched on the bay of Naples, I grew up here in the south of Italy and love to show off all the beauty of my region. 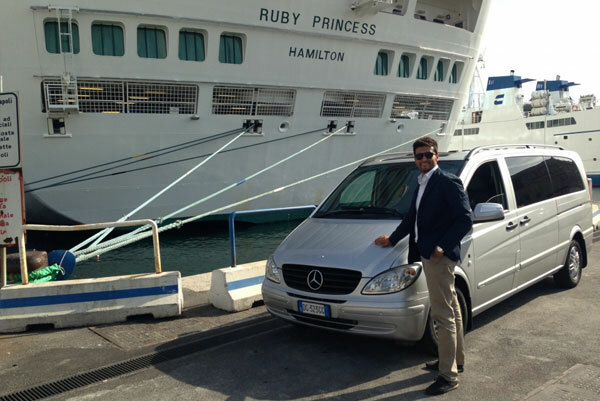 Before starting my own business I worked with the best limousine car service companies in Sorrento, Positano and on the Amalfi Coast. I worked for the best hotels and travel agencies of Sorrento, Positano, Amalfi, Ravello, Naples, Rome and Florence. For many years I learned from the best until I was capable of giving the best possible tours, I take pride in ensuring every person gets the most out of their visit to Italy. In fact my primary goal is to make sure you never forget the time you spend with me! I take it to be a great privilege that you would choose me to help you experience Campania (Which is Latin for countryside – even the Romans knew it was the best in all Italy!). My hobbies are photography, especially on the Amalfi coast which has many great spots to take pictures from. In fact, when I’m in the car with the customers, I try not to miss any single photo opportunity. I also love to travel, I think it is one of the best things in life. I have been to the USA, London, Thailand, Paris, Barcelona and one of my dreams is to see the all the capital cities in the world.On every trip I made, I always tried to understand the local culture: in fact, it is something I try to do for my clients as well, helping them to appreciate the beautiful southern Italian culture: Art, history, food, the hospitality of the people and the many different handmade works. I am so thankful to live in such a marvellous part of Italy, near historical beauties such as Pompeii Herculaneum, Paestum, Oplontis, the wonderful city of Naples with fantastic monuments, main town squares, International Museum and… do not forget that THE BEST PIZZA IN THE WORLD, YOU CAN EAT IT IN BAY OF NAPLES! The beautiful landscapes of the Amalfi Coast, Sorrento Peninsula where you will find a breathtaking view…Positano, the vertical village, Amalfi with its historical Saint Andrew’s Cathedral and Ravello with its beautiful villas… It was visiting these places from my little hometown of Sorrento that awoke the love of travelling in me and I love being able to share that with other people. I want to say thank you for visiting my website and I hope you found it helpful in some way. 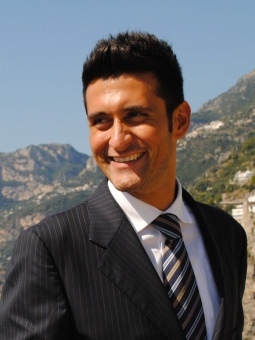 Yours Sincerely, Vittorio Rosato Owner of Rosato Private Tour and Private Driver Amalfi Coast. 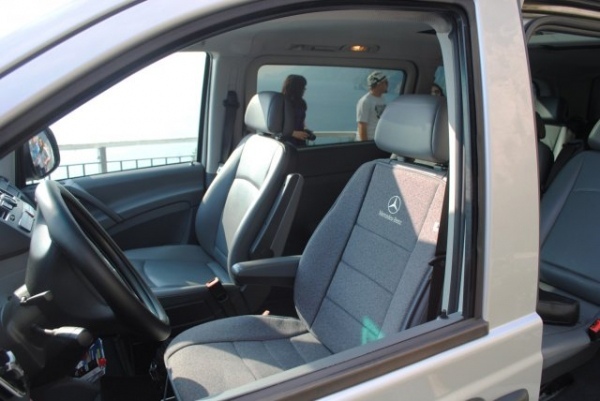 Mercedes Viano will allow you to travel with your family or with a group of friends thanks to the space it offers, 8 people. The luxury car is equipped with so many amenities to make every ride comfortable and relaxed enough to forget to be in a car; Furthermore, the modern air conditioning system ensures a comfortable temperature inside the vehicle so as to make for a pleasant Sunday trip or an adventurous trip even during the hottest.With our Luxury Cars – Viano Mercedes – Benz travel around the city museums and art becomes a real pleasure. 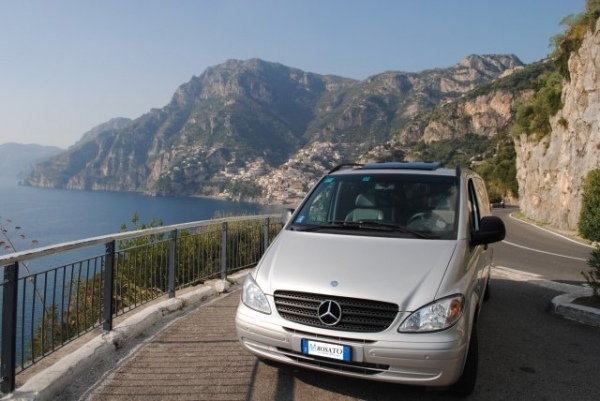 All of our luxury cars are equipped with a private driver who speaks English and knows the area to perfection The best feeling is when you travel back to the hotel more relaxed than when you started transfer to sorrento – transfer to sorrento with mercedes – transfer mercedes – mercedes transfer case.